"Thank-you to Kate Hendrick and Amy Hogg for making me feel totally at ease in the surgery. Reception staff and everybody that works there are always so helpful and pleasant! Thanks guys!" "I can not thanks kate enough for my wonderful new veneers. My only regret is not having them done sooner. The care and personal service that I have recieved has been outstanding. Special thanks!" 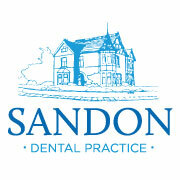 "I can highly recommend Mr Batey and his staff at Sandon Dental Practice. It is without a doubt the best dental treatment I have ever had. Amongst other work, I have had two Dental Implants and the care throughout has been marvellous. My thanks to Mr Batey and his exceptional skills and to Jenny Bateman for co-ordinating the treatment. I have complete confidence in this practice." 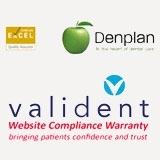 "Sandon Dental Practice has been my Dentist of choice for many years. In that time I have had several NHS funded and private procedures carried out to the highest standard. In particular the advice given has proven sound and the work done has stood the test of time. Trust has been earned. An effort is always made to reassure patients in a relaxed though purposeful and clinical environment. My most recent work carried out was at the crucial front of my mouth by my dentist of several years, Dr Kate Hendrick has proved partucularly pleasing. A great confidence boost." "Having suffered for many years with deteriorating top teeth and gums, something needed to be done to enable me to eat and smile properly again. After advice and suggestions from Dr Simon Batey, I met with Dr Liam McGrath. With their knowledge and enthusiasm, I felt in safe hands and took the decision to have all my top teeth taken out and be replaced with implants, by Dr. Liam McGrath. The whole process went at a pace to suit me and I was never rushed into any situation. Every step was fully explained and my questions were answered until I was totally satisfied. Now that I can eat properly and smile again, I would like to thank the team at Sandon, especially Dr Batey, Dr McGrath and Jennie Bateman who guided and looked after me through the whole treatment process." "I elected to have two implants and a bridge. It was my first time for this kind of procedure and I was quite apprehensive. I needn't have been, because it was very straight forward and there was absolutely no discomfort. The clinical preparation was thorough in respect of the x-rays and the need for positioning etc. The end result is much more permanent and makes for chewing more like when our teeth were young. Very happy with the outcome." "I had two implants and was surprised at how little discomfort I experienced. The whole process was far better than I expected and the care and follow up were excellent. I am very pleased with the result and can now chew properly again." "I am really pleased with the results of my implant surgery. The support I received from Dr. Hendrick, Dr. McGrath and Jenny was second to none and the surgery was painless. I would definitely recommend it. My new teeth feel great and so natural. Thank you to all concerned at the Practice." "Very pleased with the professional advice and care. I am not a confident person when it comes to dentistry. The procedure has been painless throughout and the result looks excellent." "I was well informed throughout the treatment and well cared for afterwards. The implant was successful." "I can highly recommend the service provided by Mr Batey and his team. I am delighted with the results of the implants which look and feel perfect. The procedure initially seemed daunting as a bone graft was required, but everything was explained to me clearly at each step of the way and this helped to reassure me, and to understand each stage of the procedure. Liam, who carried out the bone graft was very reassuring and made me feel confident that the procedure would be successful. Jennie has always been extremely helpful and always available to answer questions and offer advice. Many thanks to all concerned for the excellent level of care provided."